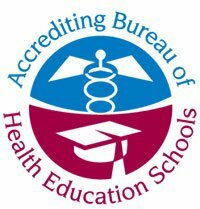 Brookline College’s Phoenix, Tucson, Tempe, and Albuquerque campuses are accredited by the Accrediting Bureau of Health Education Schools (ABHES). Brookline College is not regulated in Texas under Chapter 132 of the Texas Education Code. If needing to contact the program/institution directly, please call 602-242-6265 or email jane.jackson@brooklinecollege.edu, Program Director. The Brookline College – Tempe Campus has programmatic accreditation for its Surgical Technology program by the Accrediting Bureau of Health Education Schools (ABHES). The Bachelor of Science in Nursing degree at Brookline College, Phoenix, is accredited by the Commission on Collegiate Nursing Education, (http://www.aacn.nche.edu/ccne-accreditation). The Bachelor of Science in Nursing degree at Brookline College, Albuquerque, is accredited by the Commission on Collegiate Nursing Education, (http://www.aacn.nche.edu/ccne-accreditation). The Bachelor of Science in Nursing RN to BSN program at Brookline College, is accredited by the Commission on Collegiate Nursing Education,(http://www.aacn.nche.edu/ccne-accreditation). The Bachelor of Science in Nursing for Baccalaureate Degree Graduates program at Brookline College, Phoenix, is accredited by the Commission on Collegiate Nursing Education,(http://www.aacn.nche.edu/ccne-accreditation). The Bachelor of Science in Nursing for Baccalaureate Degree Graduates program at Brookline College, Albuquerque, is accredited by the Commission on Collegiate Nursing Education,(http://www.aacn.nche.edu/ccne-accreditation). The Master of Science in Nursing at Brookline College is accredited by the Commission on Collegiate Nursing Education,(http://www.aacn.nche.edu/ccne-accreditation). *Check with Admissions and/or Financial aid for specific program approval at each campus.